The Animation is Film Festival has announced its full slate of films for their upcoming event which takes place October 20-22 at the TCL Chinese 6 Theater in Hollywood. 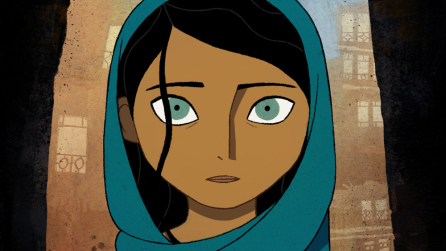 Films set to screen premieres of The Breadwinner, Mary and the Witch’s Flower, Big Fish and Begonia as well as special screenings of Snow White and the Seven Dwarfs and Pixar’s The Incredibles, which will also include a sneak peek of their upcoming film Coco. The fest will feature 12 films in competition and will include director Q&As, special events, short film programs, and a VR lounge. Animation in Film aims to fill a gap in the market by establishing the world-class animation festival in the country, with its home in the world capital of filmmaking. The festival embraces the highest aspirations of animation as a cinematic art form on par with live action filmmaking and will be vocal advocate for filmmakers who push the boundaries of their work to the fullest range of expression that the medium is capable of.